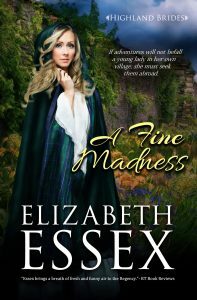 Elizabeth Essex » Romance So Good, It's Scandalous » A Fine Madness is here! A Fine Madness is here! For a limited time, A Fine Madness is available at the discounted price for $1.99! (If you prefer to read it in print, you can also purchase the paperback for $8.99).